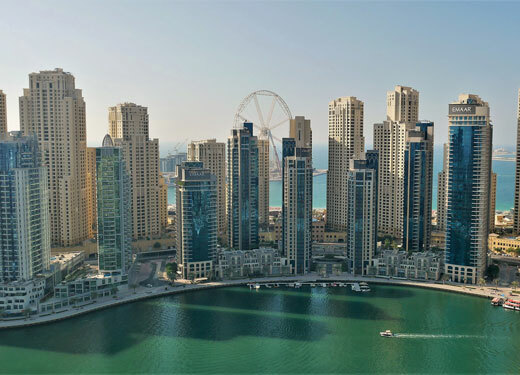 The Dubai government has revealed plans to reduce fees relating to property transactions and other areas of the economy in a bid to further stimulate economic growth and make the emirate more attractive to foreign investors. In a meeting chaired by Sheikh Hamdan bin Mohammed bin Rashid Al Maktoum, Crown Prince of Dubai and chairman of Dubai Executive Council, a number of proposals were passed relating to the real estate, education and aviation sectors. One of the most important from a property investment perspective is the decision by Dubai Municipality to halve market fees on commercial entities from the current five percent to 2.5 percent, while the Dubai Land Department will now waive the four percent late payment fees on property registrations for a period of 60 days. Other initiatives that will please expats include the decision to freeze private school fees 2018/19. Sheikh Hamdan said the move would “reduce the financial burden on parents”. Taking to Twitter, the crown prince wrote: “Following the directives of HH Sheikh Mohammed, we adopted a series of initiatives during today's Executive Council meeting aimed at stimulating economic growth and reducing the cost of doing business in Dubai. The initiatives include the reduction or cancellation of various government fees. “The real estate sector is an important component of Dubai's economy and we are working to provide the best government services to both investors and developers,” he added in another tweet. In a bid to further boost Dubai’s tourism economy, the Dubai Executive Council also revealed plans to reduce municipality fees levied on sales at hotels and restaurants from 10 percent to seven percent. "We continue to take firm steps to establish Dubai as a preferred destination for visitors and businesses internationally, and our incentive policies are aimed at making Dubai the best place in the world to do business," Sheikh Hamdan said. "The tourism and hotel sector is a major pillar of our efforts to diversify the economy and sources of income. Its sustainability requires creating an attractive environment for tourism and investment."